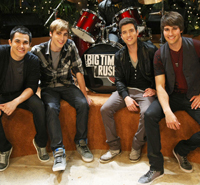 Nickelodeon has greenlit a fourth season of its hit musical comedy series Big Time Rush with production in L.A. set to begin on 13 episodes in early 2013. Big Time Rush, starring Kendall Schmidt, James Maslow, Carlos Pena and Logan Henderson, follows the adventures of four best friends from Minnesota who trade in their hockey sticks for music superstardom in Los Angeles. 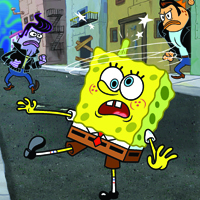 The series’ Nickelodeon debut drew 6.8 million viewers, making it the most watched live-action series premiere in the network’s history. Big Time Rush, currently in its third season, now airs in more than 100 territories and in 20 languages via Nickelodeon channels and syndication, and the brand continues its strong growth with this year’s TV movie release Big Time Movie, a sold out live tour hitting the US, Canada and South America, a third consecutive hit radio single, “Windows Down”, and more than 1.25 million albums sold worldwide for debut BTR and follow-up album Elevate.